Samskrta is the ancestral language, considered to be the mother language of all Indo-European languages, and in this sense also of the Portuguese language. Although commonly and incorrectly known as "Sanskrit", its correct transliteration is Samskrta. It is This is the Language of the oldest texts on Yoga, so their study and knowledge are key to a Yoga.student / practitioner. 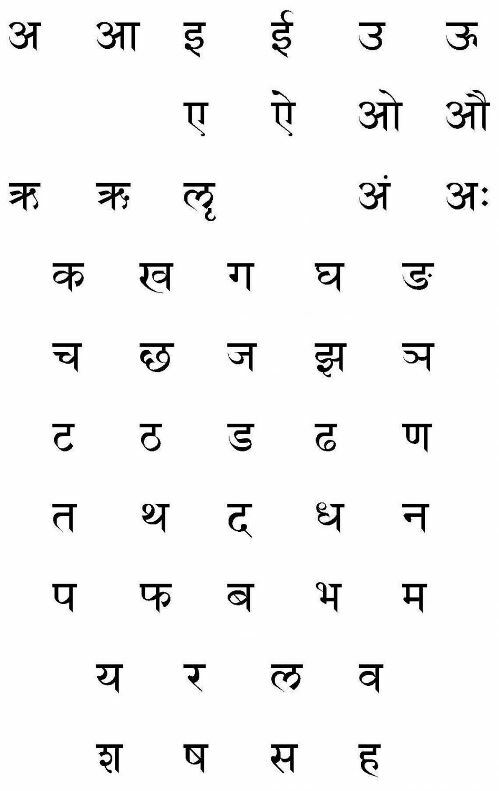 Its alphabet is the Devanágari (which later also became the Hindi alphabet, although they are two different languages). The Samskrta has an alphabet based on vibration and the influence of that Sound / Vibration in the Human Being, therefore its Sound is Mantra, and its writing is Yantra. - 28 consonants, which are subdivided into: guttural, palatal, cerebral, dental, labial, sibilant, expired. In Samskrta, words ending in A are masculine nouns; and words ending in accented I are feminine nouns, so YOGA word is a masculine noun.